I adore coffee. I'm not ashamed to admit it. I drink many cups EVERY. SINGLE. DAY. This lead me to subscription box options and MistoBox. This month I was sent 4 excellent selections. Each selection has a fairly detailed write up on them. If you find these selections do not match your taste you can retake the questionnaire and they will source other ones for you. Disclaimer: I going to take this moment to admit stuff. When people state "notes of X", it's pretty much gobbledygook to me. I drink a coffee and go "holy crap, that tastes good" or "meh - I'm not a fan". I don't have a sophisticated palate. I just like what I like. Same for wine or pretty much anything else. All this points to me being a coffee HEATHEN! But play along with me... will ya? 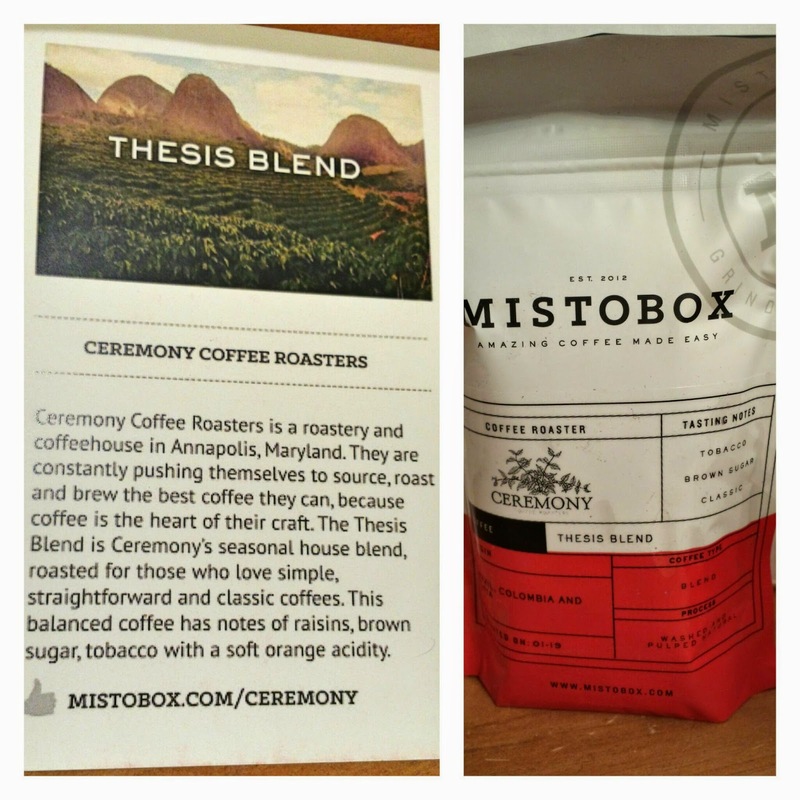 Thesis Blend from Ceremony Coffee Roasters out of Annapolis, Maryland. This blend is their seasonal house blend. No pretensions and simple. Notes of raisins, brown sugar, tobacco with a soft orange acidity. Sweater Weather Blend from Topeca Coffee Roasters from Tulsa, Oklahoma. 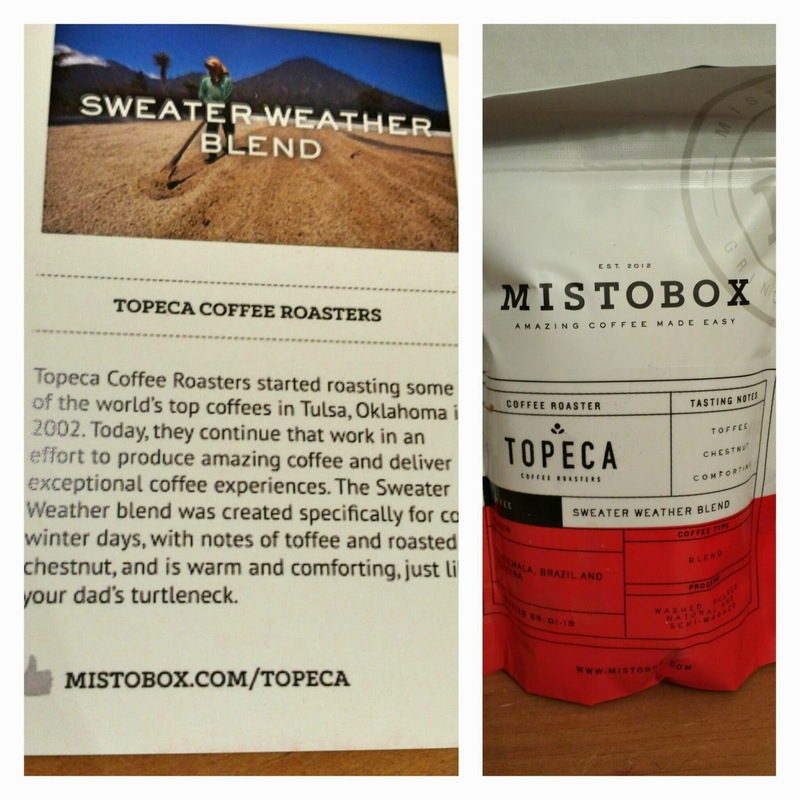 The Sweater Blend is for those cold winter days with notes of toffee and roasted chestnut. 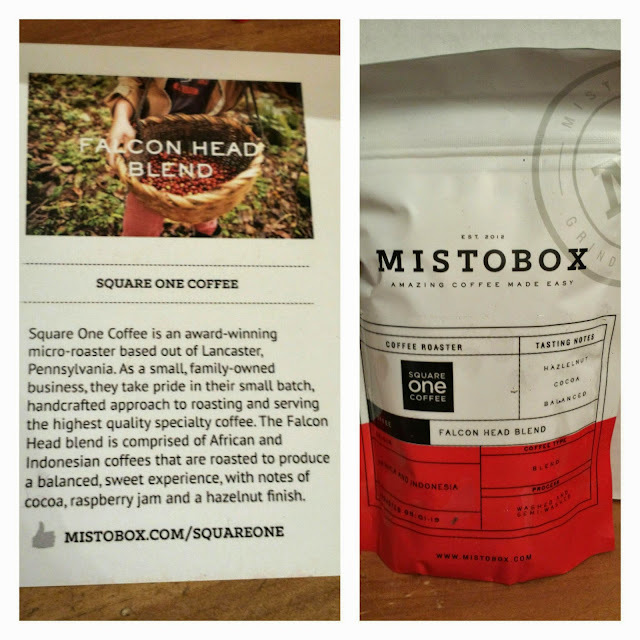 Falcon Head Blend from Square One Coffee is out of Lancaster, Pennsylvania and is a small, family-owned business. This blend is comprised of African and Indonesian beans. Notes of cocoa, raspberry jam and a hazelnut finish. 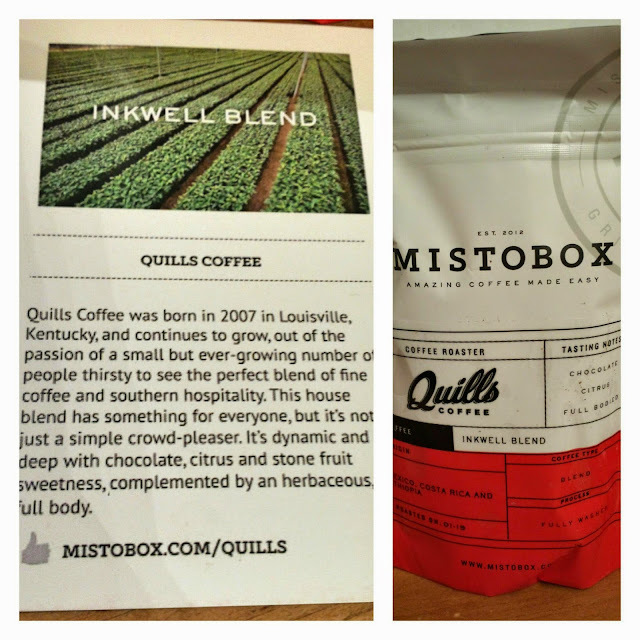 Inkwell Blend from Quills Coffee hails from Louisville, Kentucky. This is their house blend and has chocolate, citrus and Stone fruit sweetness. 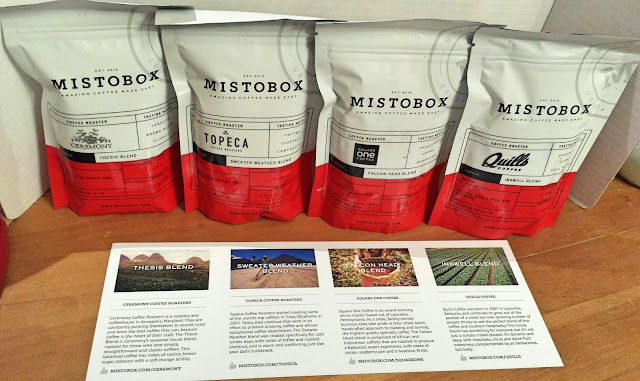 Here are my other MistoBox reviews.